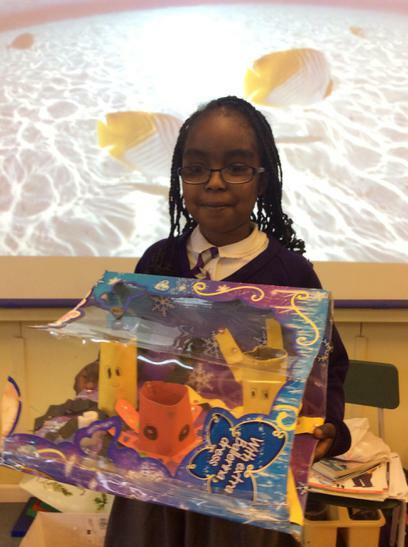 Finishing with a Splash!! 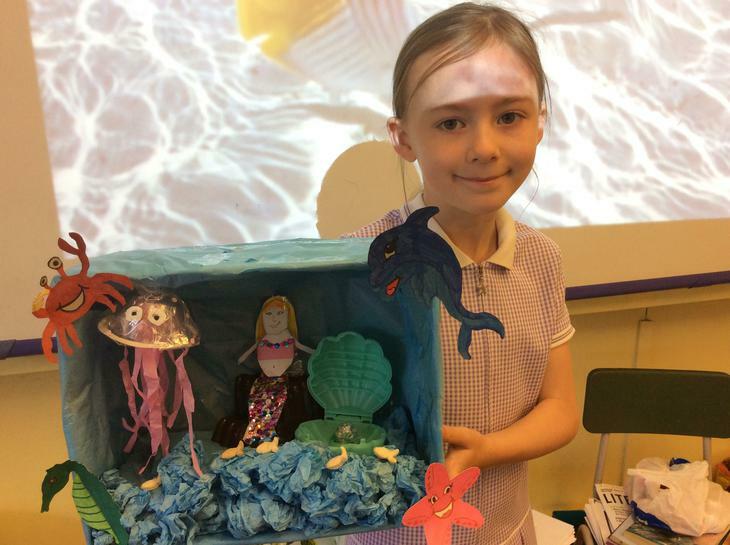 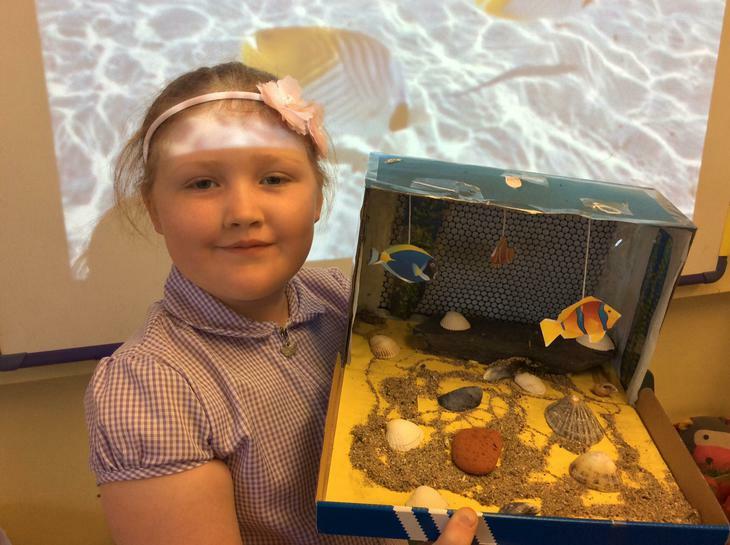 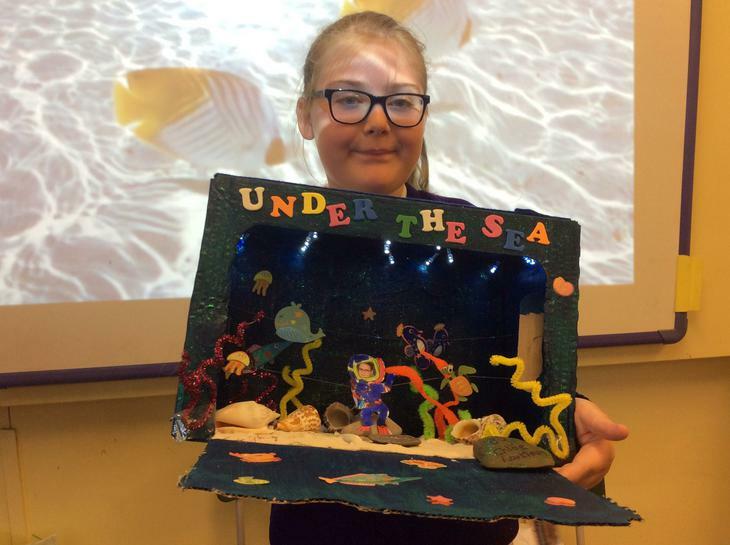 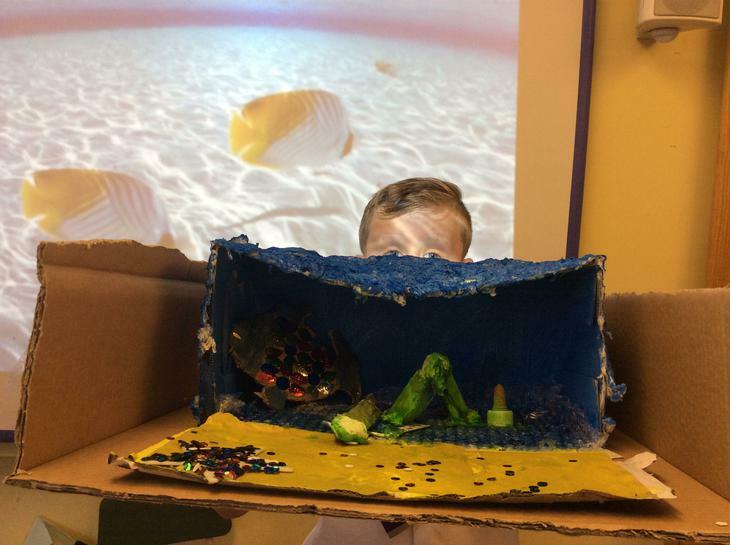 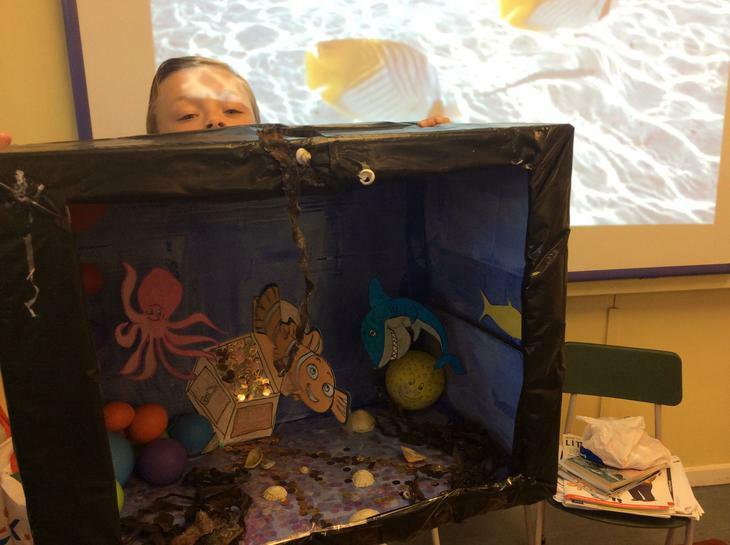 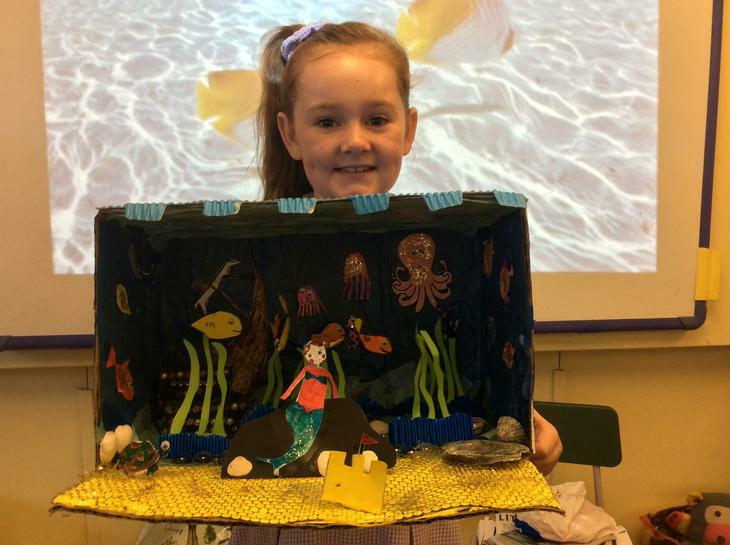 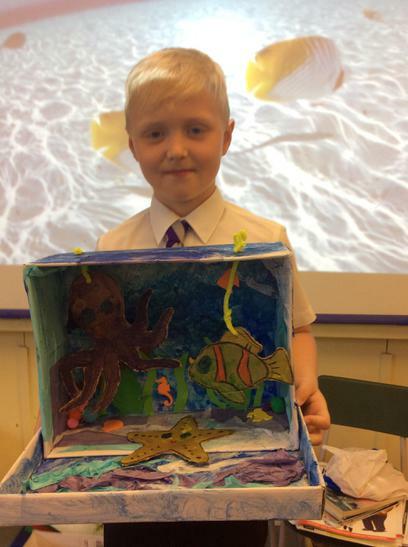 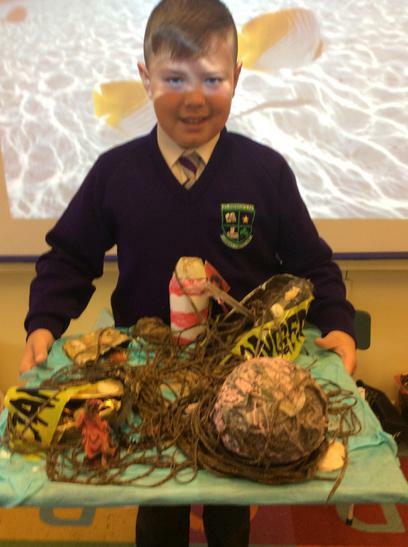 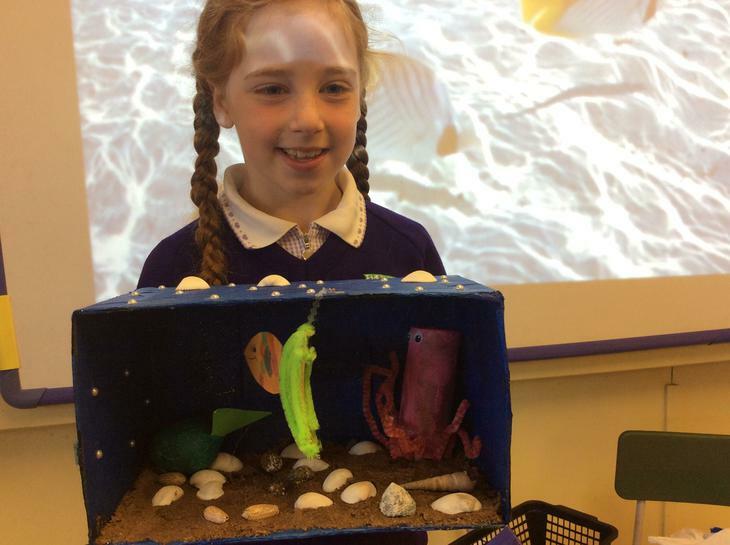 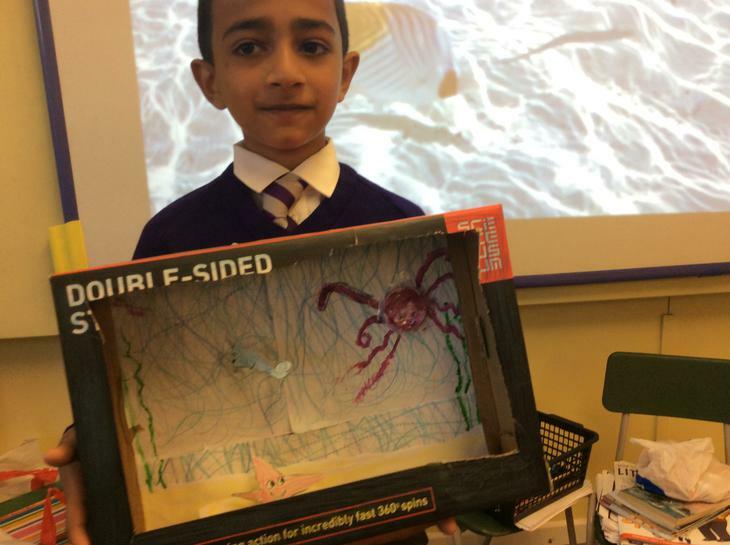 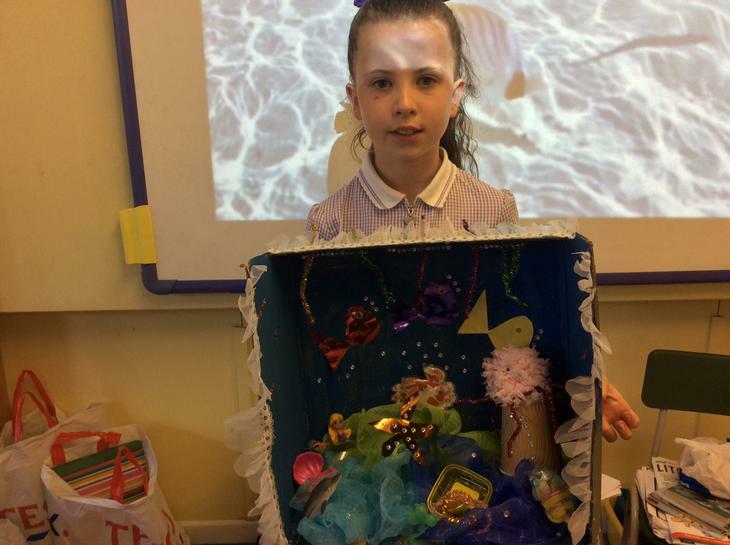 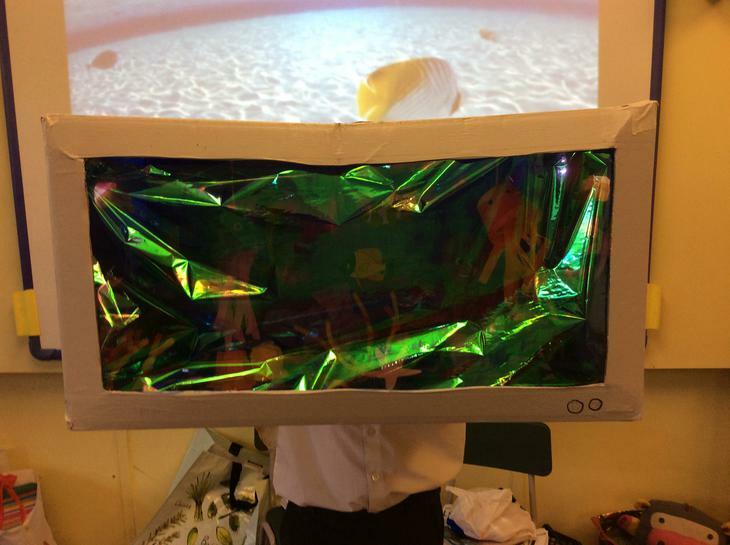 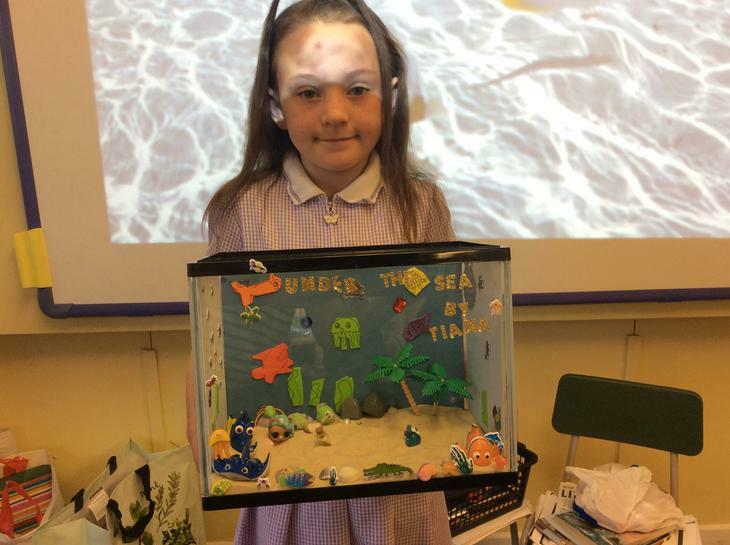 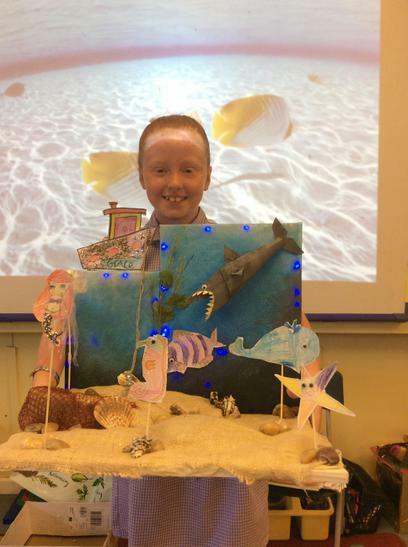 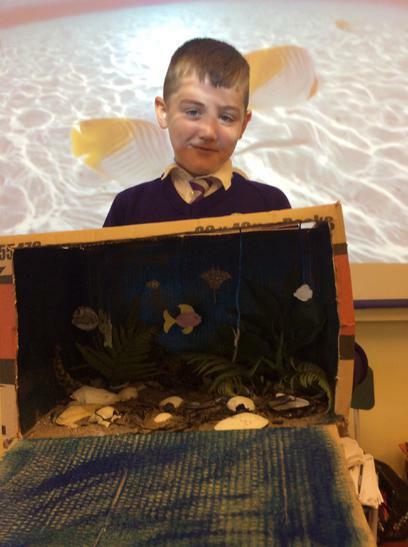 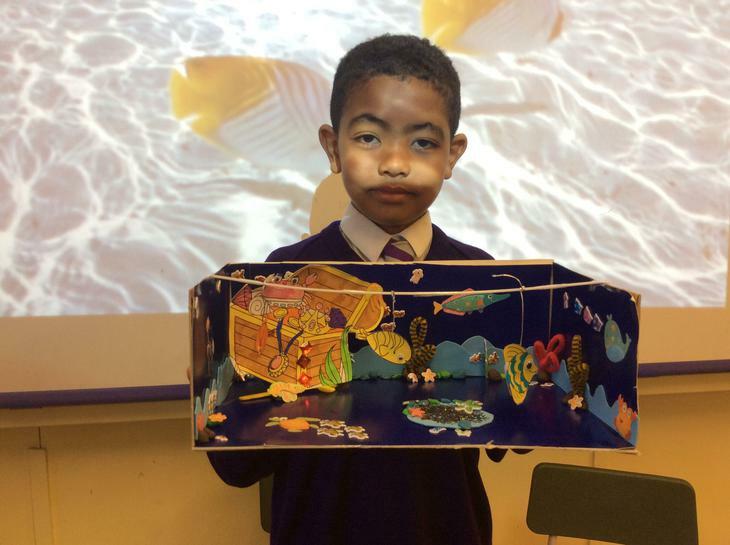 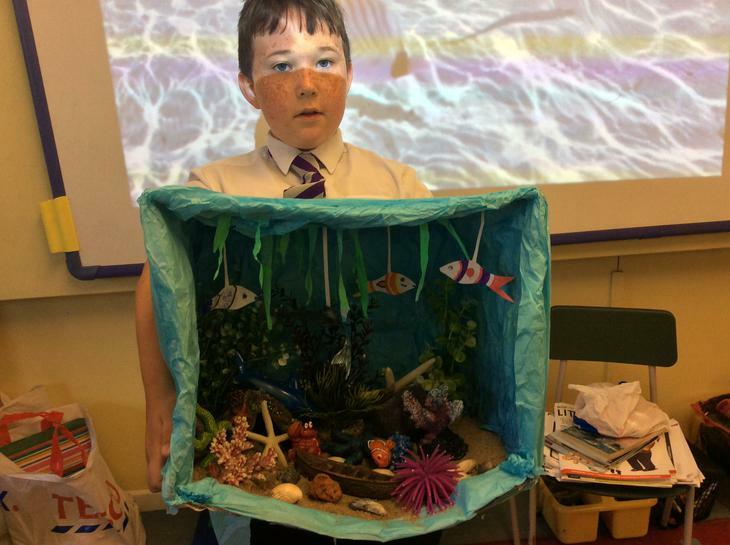 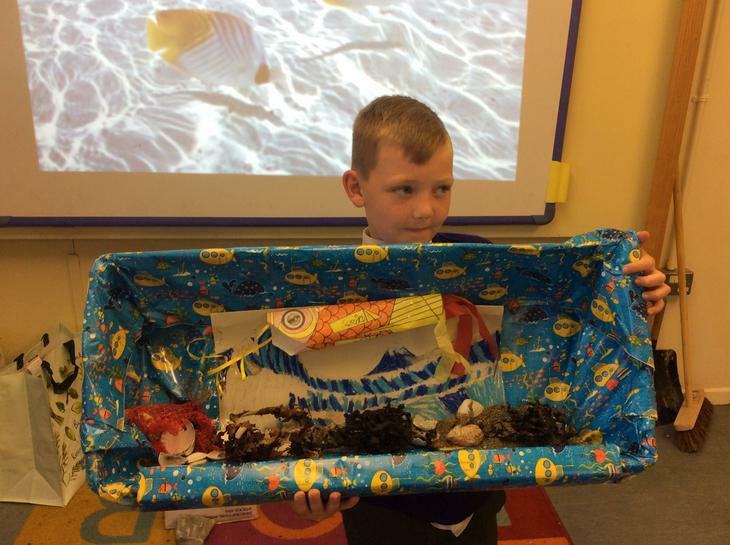 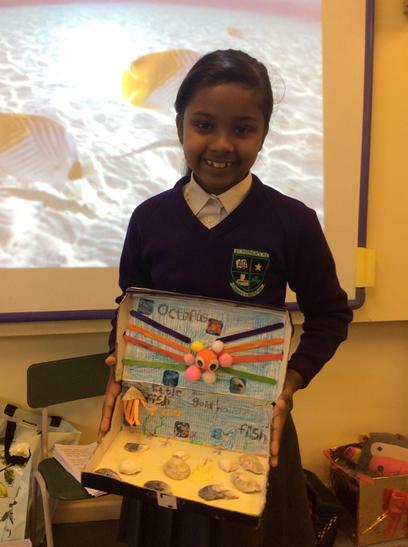 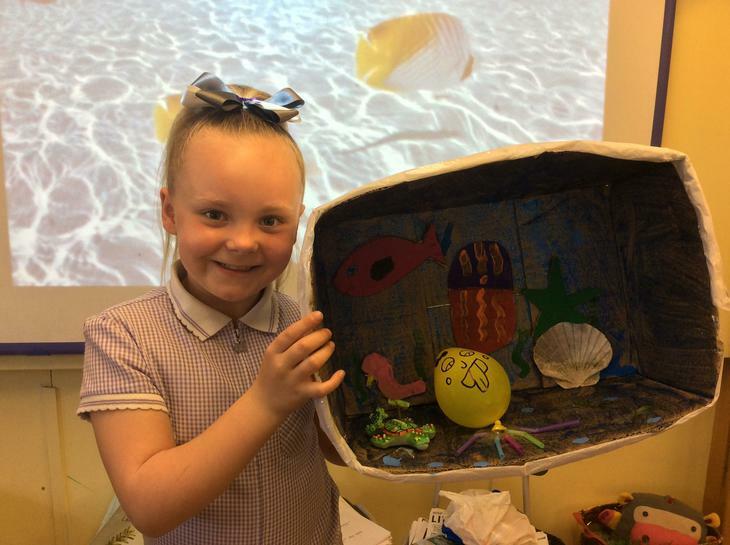 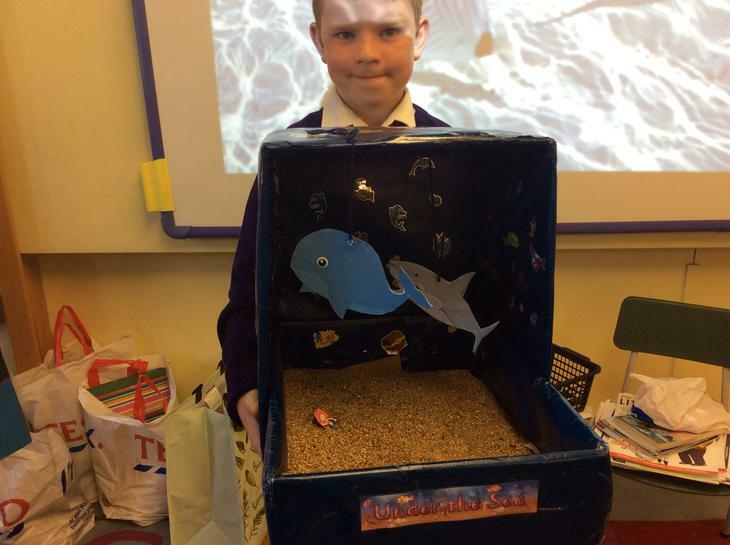 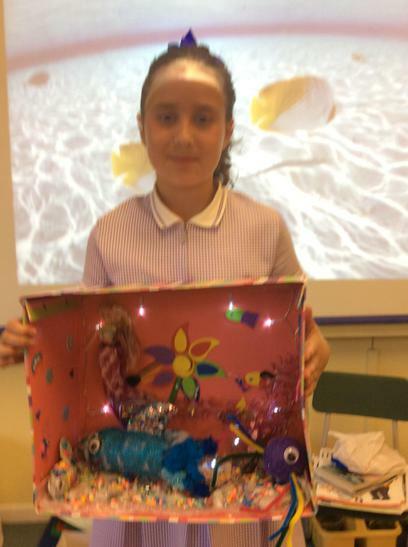 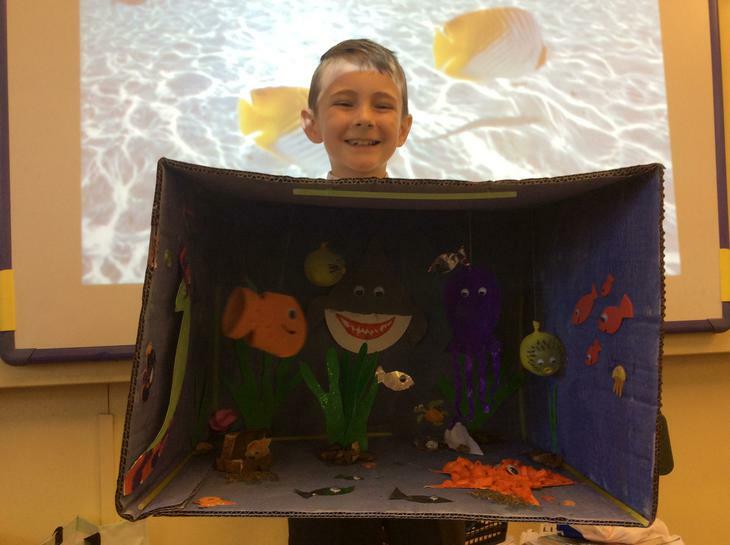 Primary four have finished off their year with a variety of WONDERFUL art projects showing some of their favourite features of 'Under The Sea.' 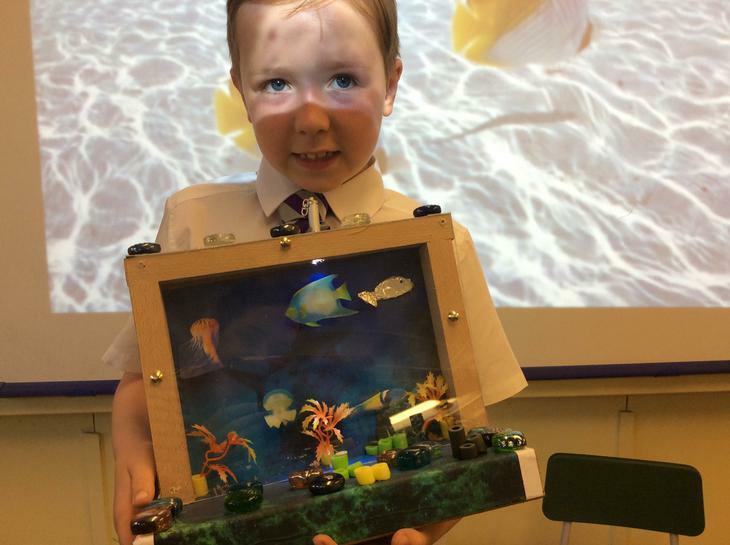 Thank you to all the parents, carers and grand-parents who helped the boys and girls with their projects. 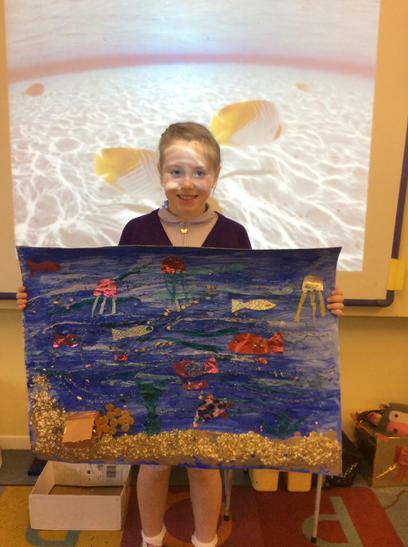 Take a look at the ocean of artisitic and creative talent we have in Primary Four! 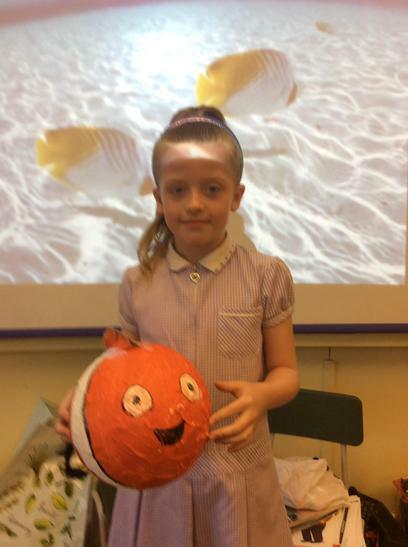 P4TM enjoying a visit from Allison at Belfast Central Library. 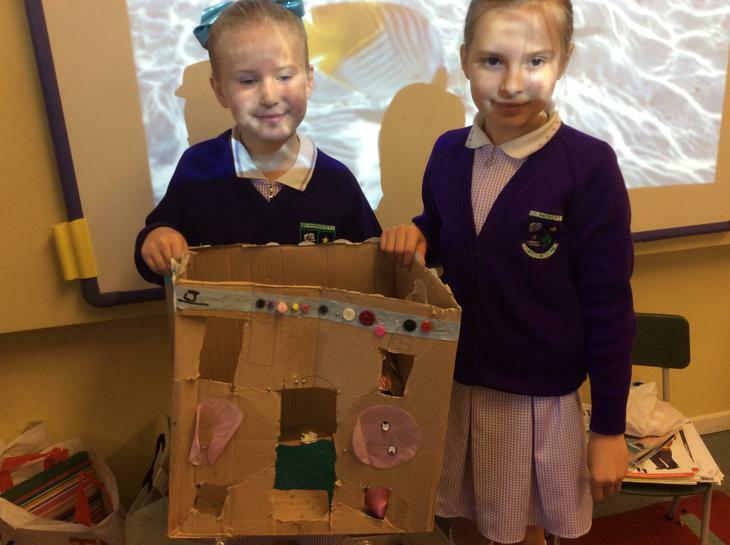 We loved listening to the stories and learning about the library, can't wait to learn more about the summer reading challenge. 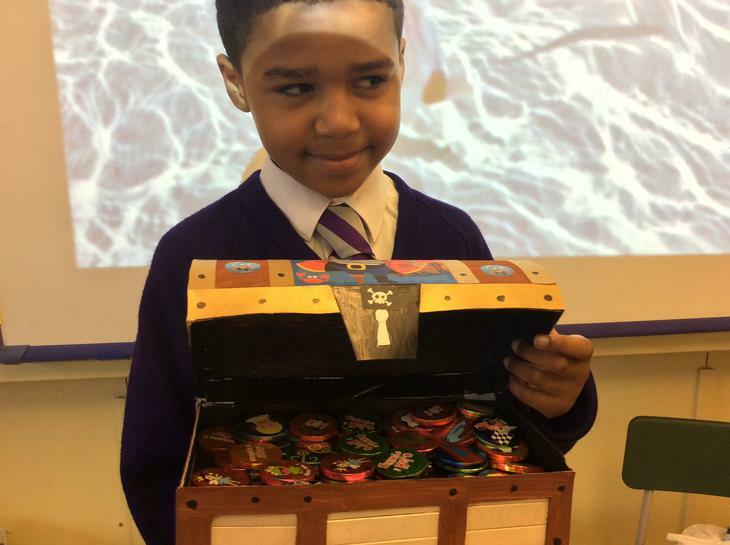 A great resource right on our doorsep to encourage children to develop a love of reading and it's completely free! 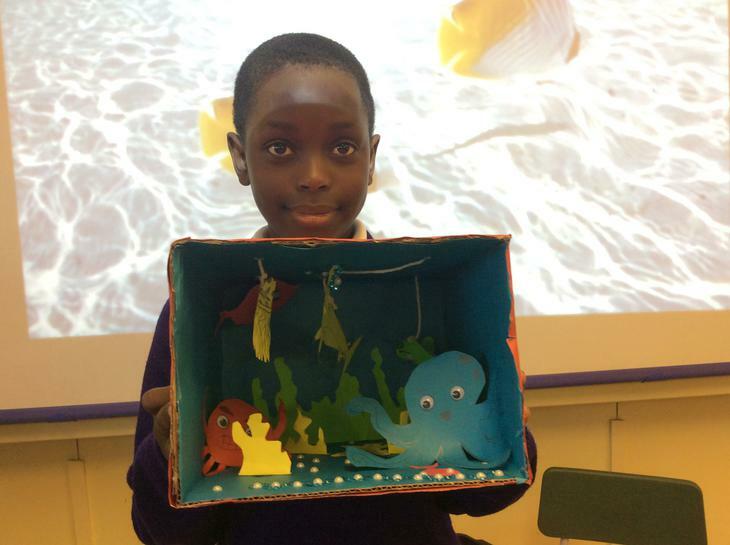 P4TM enjoying a workshop on conflict and critical thinking skills with volunteer students from Peace International. 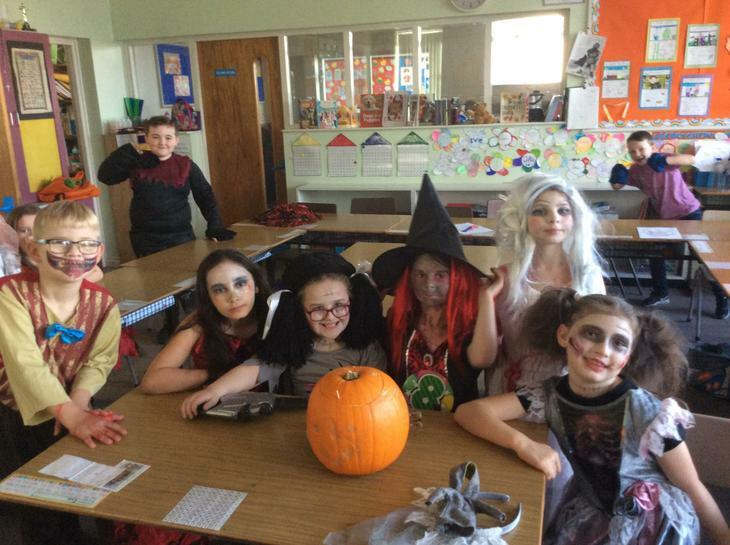 The students are visiting Belfast from St Mary's University in Nova Scotia, Canada! 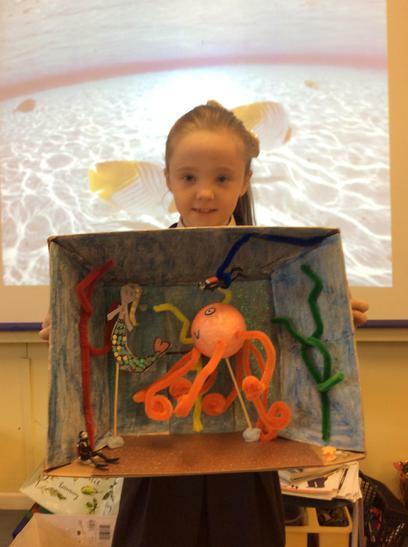 Take a look at our amazing 3D shapes! 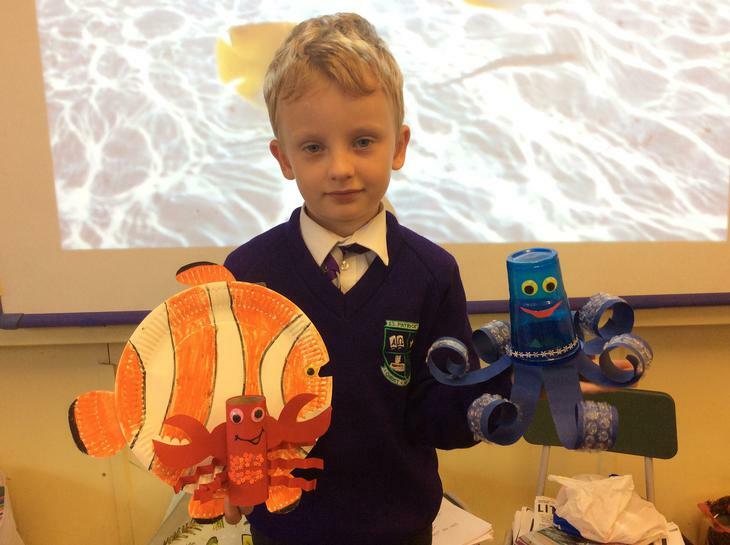 Mr O'Reilly helped us make our own 3D shapes using straws and plasticine. 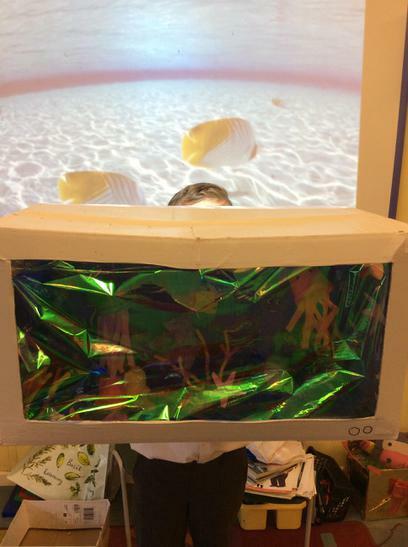 Once we made our shapes we were able to record the edges, faces and vertices of each shape. 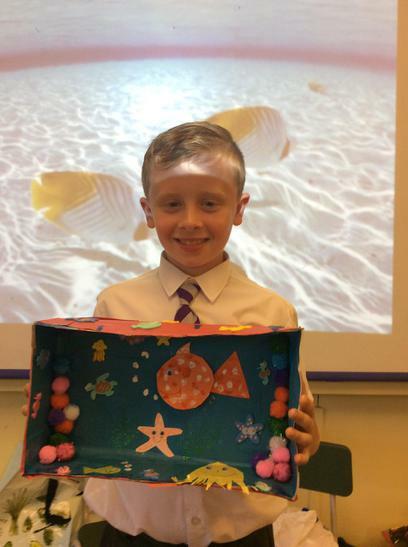 We have been learning a lot about shape this week in P4. 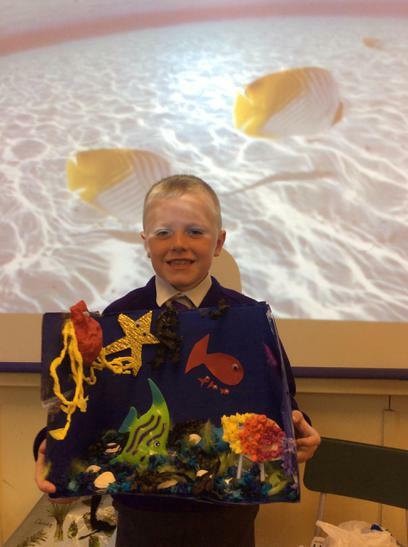 In our art lesson Mr. O'Reilly helped us carry out a special study on the Russian painter, Wassily Kadinsky. 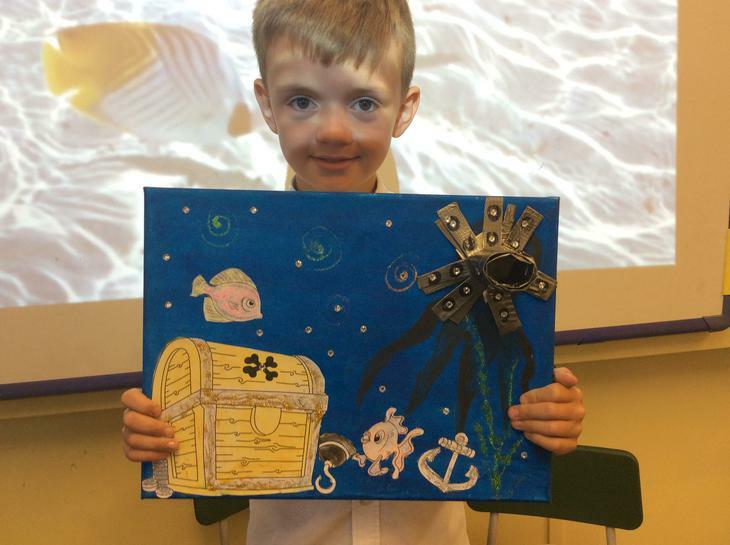 Can you name the 2D shapes we have used in our artwork? 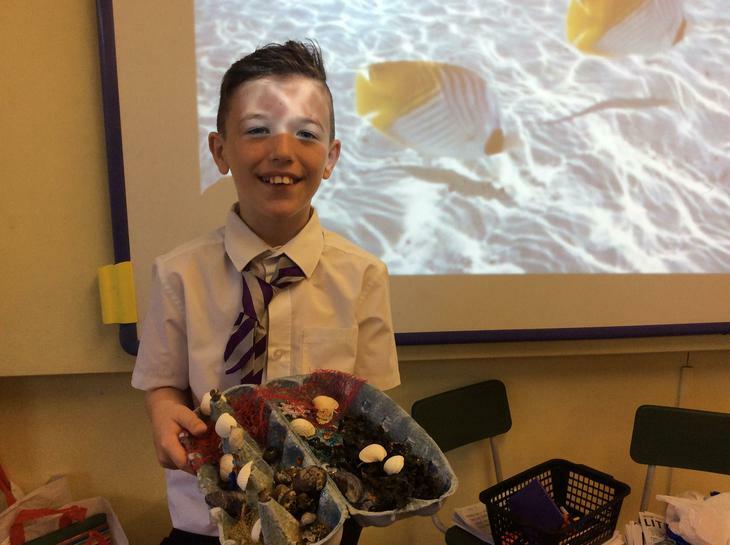 Primary 4 had a wonderful day meeting some new friends from Seaview Primary School as part of our Shared Education. 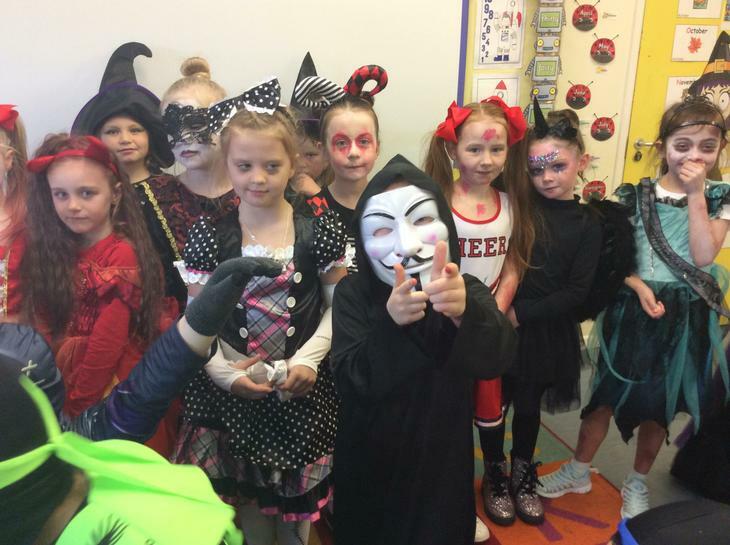 We had a fun time meeting them and look forward to seeing them again soon! 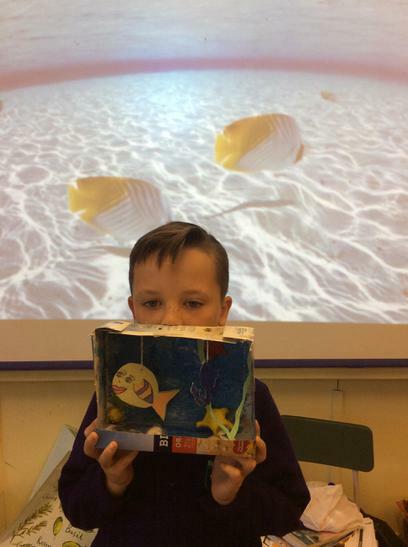 P4 heard a lovely Christmas story from Sonia. 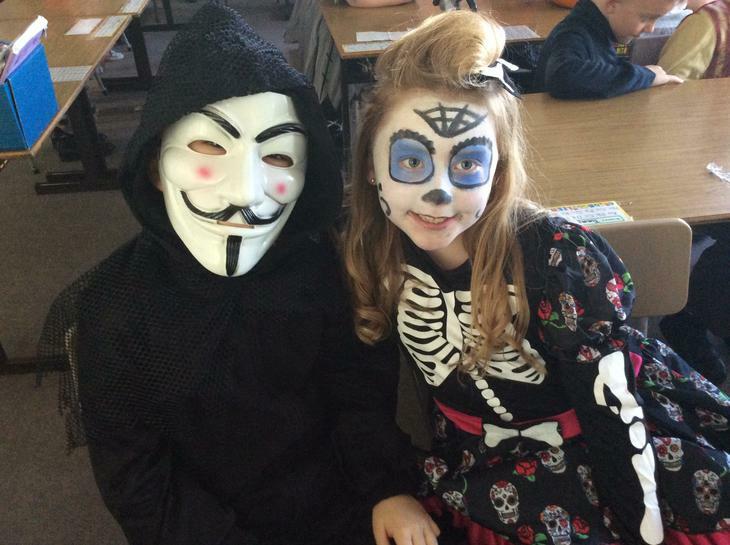 Sonia works for Belfast City Council and for Santa. 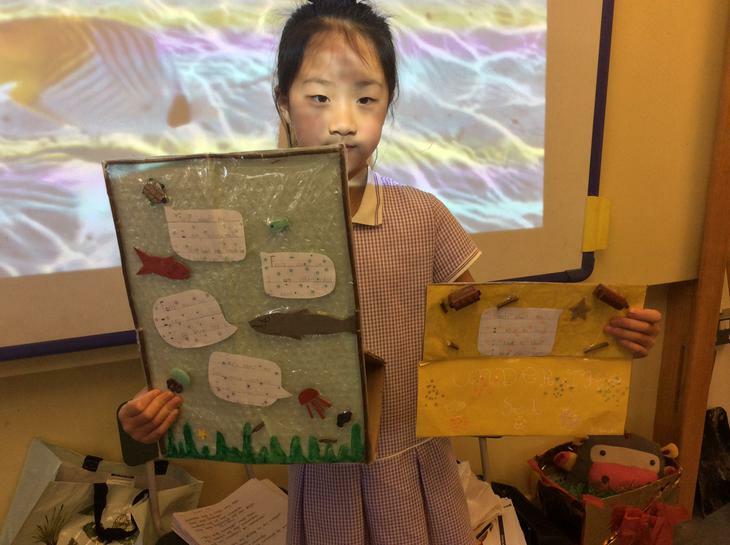 Her story was about the importance of taking care of our planet. 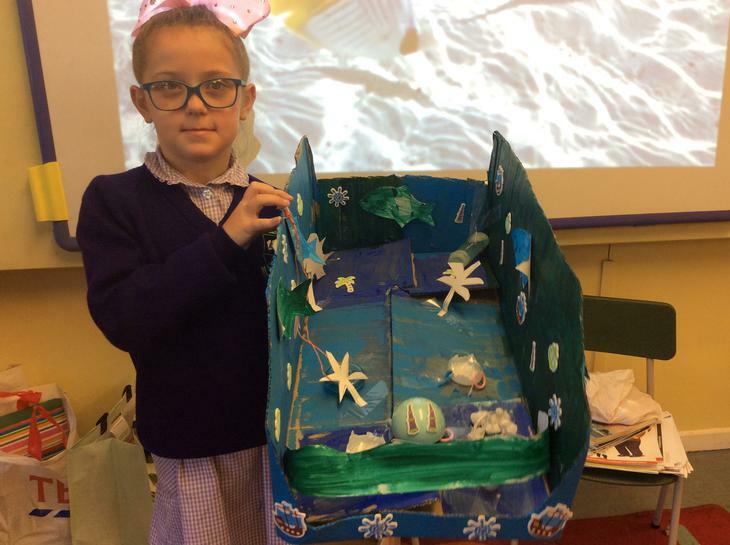 P4 TM Having Fun in the snow! 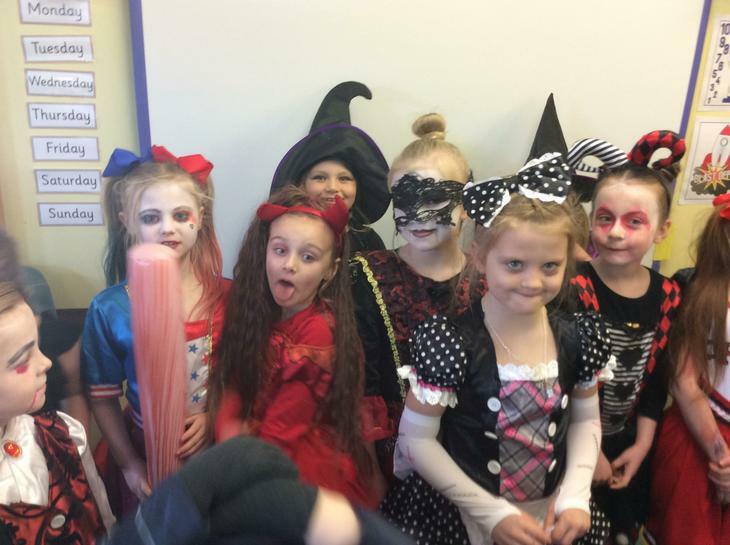 Come and take a look at our year group pictures! 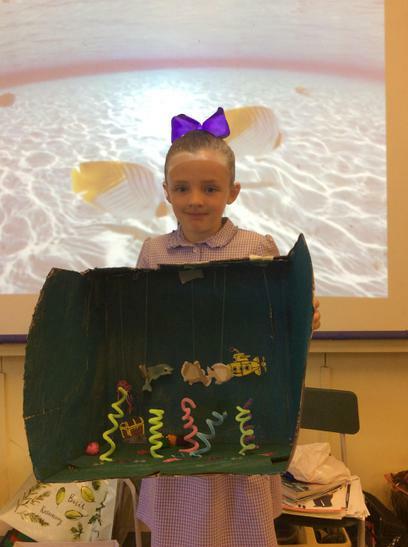 P4RM had a great time taking part in the Winter Olympics with Dixie!